We are in New Jersey right now visiting my family. My sister-in-law Cora introduced us to a new way to eat chocolate for lunch yesterday. I’m always up for making chocolate into a meal, so I was 100% on board! Cora had recently taken her little girl and my niece Sophie to a cafe called Marigolds. 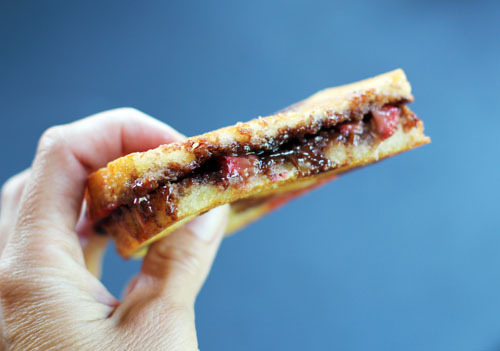 They ordered the Nutella panini off the menu and discovered something quite delicious – a panini made with Nutella and fresh sliced strawberries! 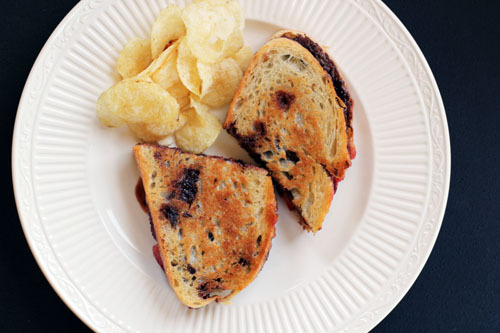 The cafe even served the Nutella panini with homemade potato chips. This is LUNCH, people. I swear! Whether you agree that this makes a healthy and nutritious lunch or not, I do think you’ll agree it’s delicious. Seriously, DELICIOUS. You’re welcome. 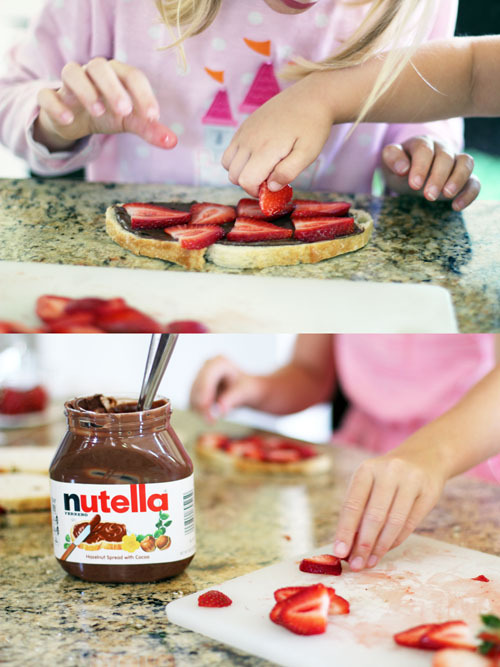 Spread Nutella on 2 slices of bread. 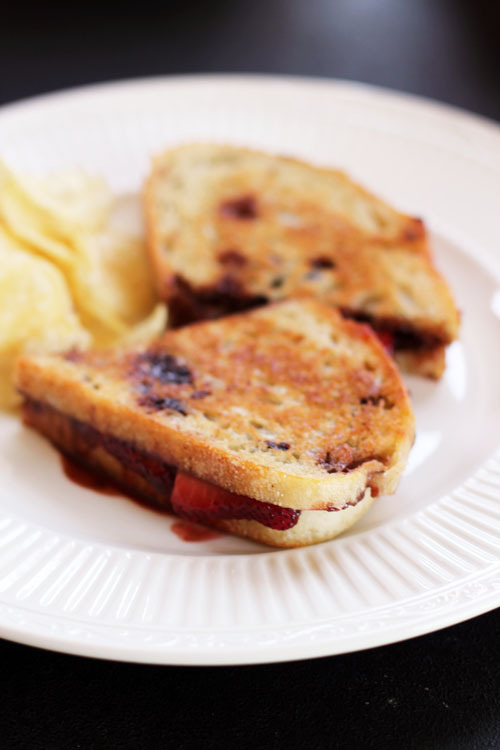 Layer sliced strawberries on one side then put the sandwich together. Butter the outside of both slices of the sandwich and grill in a pan over medium heat until golden brown (like a grilled cheese sandwich) or cook in a panini maker. I’m totally making this for dinner tonight for my boys. It’s summer and I don’t really want to cook. Thanks Jane! Even I, the skeptic, decided it was delicious! I’ve had Nutella with bananas but not strawberries. I need to try this!